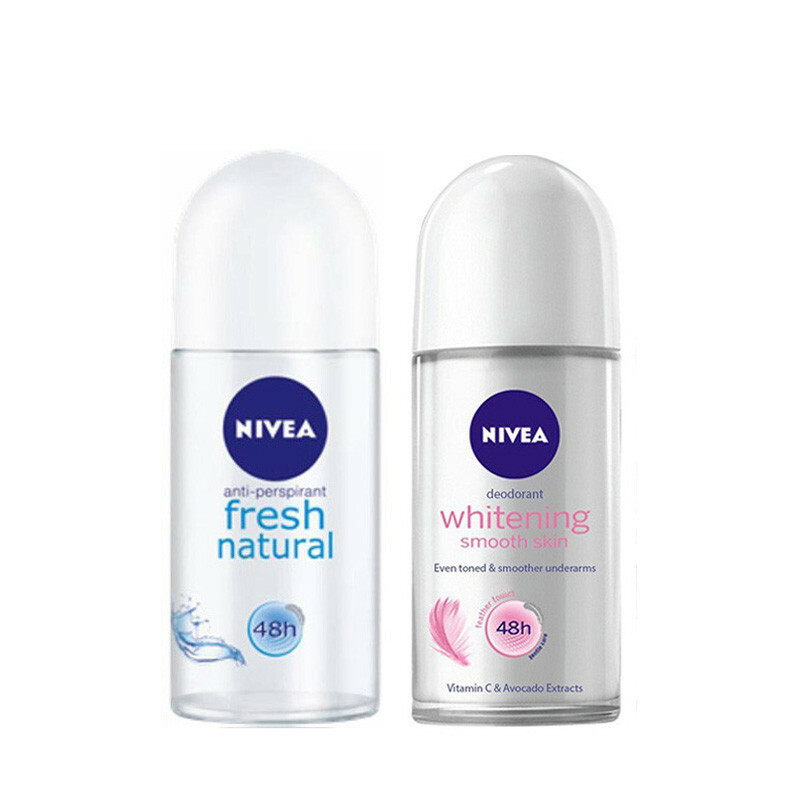 Nivea Whitening Smooth Skin and Fresh Natural Deodorant Roll-On extracts provides day long odour control and gives you a fresh feeling all day long. NIVEA Whitening Roll-On lightens your skin to reveal visibly fairer and smoother underarms. Its natural ingredients, Licorice extracts and Witch Hazel, reduce melanin production and soothe skin irritations to reveal fairer, whiter underarms. So from now on, there’ll be nothing holding you back from wearing your favorite sleeveless dress anymore!NIVEA Fresh Natural Roll on gives all day long protection against body odour and cares gently for the skin and It does not contain alcohol, colourants or preservatives and It's skin tolerance is dermatologically proven.This Roll On keeps your underarms beautiful and smooth.